The fast-food chain decided to hire a PR AOR for the first time after reassessing its brand direction last year. FREDERICK, MD: Roy Rogers Restaurants has selected Maroon PR as its first PR AOR, following a competitive review. Maroon started working with the quick service restaurant chain in mid-January, following a formal RFP process that began last summer. The RFP was initially issued to nine agencies; Maroon was selected after a final round of three that included Coyne PR and MGH. The firm is developing PR strategies to boost awareness for Roy Rogers nationally and in local markets. The work includes media relations, social media, content creation, experiential, and developing integrated brand marketing campaigns. 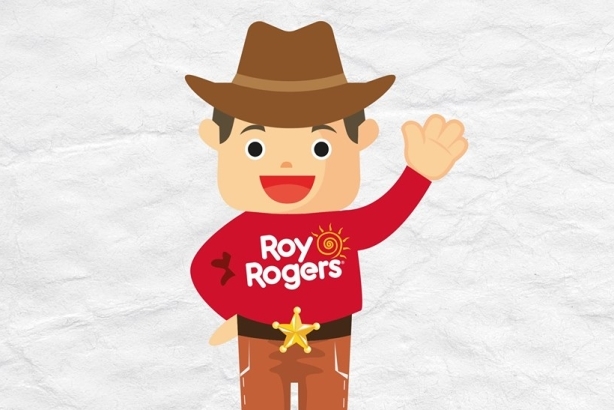 Roy Rogers has historically worked with traditional ad agencies. However, Roy Rogers marketing director Carrie Isabell said the brand began reassessing its overall direction and brand awareness last year. "From a PR perspective, we are honing in on the iconic piece of this brand and its presence from back in the day," Isabell said. "Because [fans] do have such nostalgia for this brand, we want Maroon to capitalize on the loyalty of our current following and expose the unique qualities of this brand to new customers by telling our brand story." That story will focus on what the brand sees as its key differentiators: quality, variety, and choice, said Isabell. She added that Maroon is playing an integral part developing the repositioning statement for Roy Rogers’ brand. She noted that at its peak in the 1980s, the chain had more than 650 restaurants when it was owned by Marriott. Since then, its ownership has changed hands several times. Current parent Plamondon Companies owns and operates 23 Roy Rogers Restaurants and oversees 26 franchise locations in the Mid-Atlantic region. Six new locations are slated to open this year in New Jersey, Maryland, and Northern Virginia. Since buying the brand in 2002, Plamondon has typically opened one or two Roy Rogers restaurants per year. "We have a growth plan for our brand to increase by 25 restaurants over the next five years," said Isabell. Maroon senior account executive Monique Smallow is leading a core team of four on the account. The budget was not disclosed. "We felt like Maroon was a good fit – they understood our brand, knew it, and they were fans of our brand and mentioned that in their pitch," said Isabell. "A lot of them had such nostalgia, great stories, and fond memories of Roy Rogers from their youth or early adulthood. That resonated with us." Isabell said her team also viewed Maroon’s local presence in Columbia, Maryland, as a bonus. Roy Rogers is headquartered about 45 minutes away in Frederick, Maryland.